This can be your private trip in Poland . 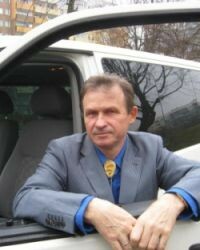 Just hire a driver-guide with a comfortable car or van . For example : on footsteps of your ancestors - combined with historical sites . On footsteps of Frederic Chopin in Poland - combined with culture and nature . Go to listen clasic music concert in one of several concert halls . Visit of your relatives . Religions in Poland - visit some churches located in many parts of our country . There are many churches made in wood in XVI and XVII century - on UNESCO List of World Heritage of Culture . Visit the oldest gothic castles - constructed by Teutonic Khnights - in north of Poland . On footsteps of Jews in Poland - visit several synagogues , go to listen klezmer musik , concert in ancient mykwa for example.